My love for ramen continues as more and more ramen restaurants open in nearly every nook and cranny in Manila! Of course, what better way to continue this slew of ramen joints here at Candid Cuisine than to feature Ramen Nagi, the award-winning ramen chain from Tokyo that is recently causing a hype in the entire metro! As Ramen Nagi is widespread across Japan, I am excited to try out Ramen Nagi here in the Philippines, from the Kakuni to the Hakata noodles to its spicy miso fireball dropped on the Red King Ramen. Will they be able to sustain the expectations of many ramen fanatics now that Ramen Nagi branches in Japan, Taiwan and Indonesia has set its bar pretty high? And as usual, I went to Ramen Nagi SM Aura Premier to find out. Warning: A knowledge uncommon to most people is that Ramen Nagi company and Butao Ramen Hong Kong Ltd. are NOT affiliated with each other and operate independently of each other. 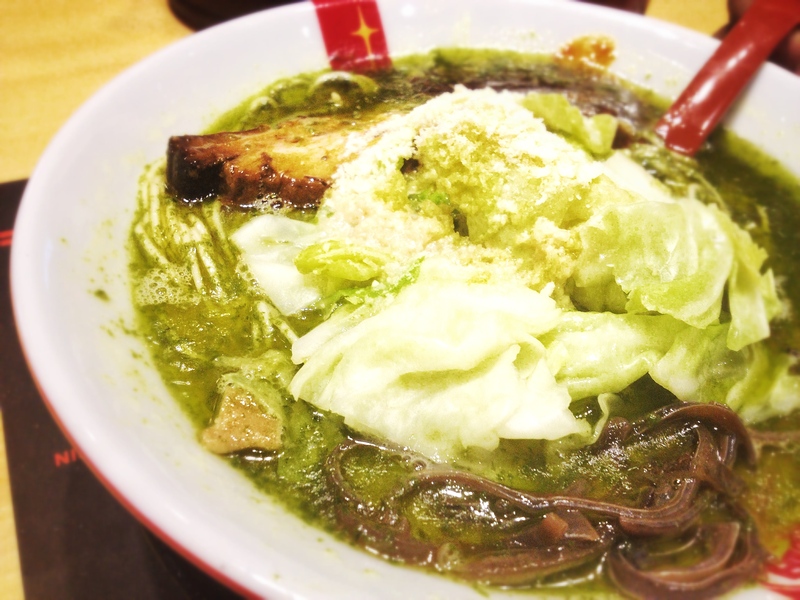 Butao Ramen has never been a part of Ramen Nagi and came to existence prior to Ramen Nagi chains in Japan. Source: Butao Ramen Hong Kong Ltd. I feel pretty bad for Ikkoryu Fukuoka Ramen who happens to habituate just near Ramen Nagi, that the crowd is now halved between two excellent ramen joints. My friends and I went to Ramen Nagi at SM Aura Premier around 3pm and there was still a long queue – a whopping number 16. But using my “powers”, we managed to get a table in just 15 minutes! I thought I was going to have another IHOP experience. Thank you, friendly receptionist. Contrary to what the people are posting in Facebook, it would seem the manager at that time was more than accommodating, ensuring that we were comfortable in our seats. Let’s go back and review the Four Ramen Kings of Ramen Nagi, the very essence of Ramen Nagi’s growing success in Japan. 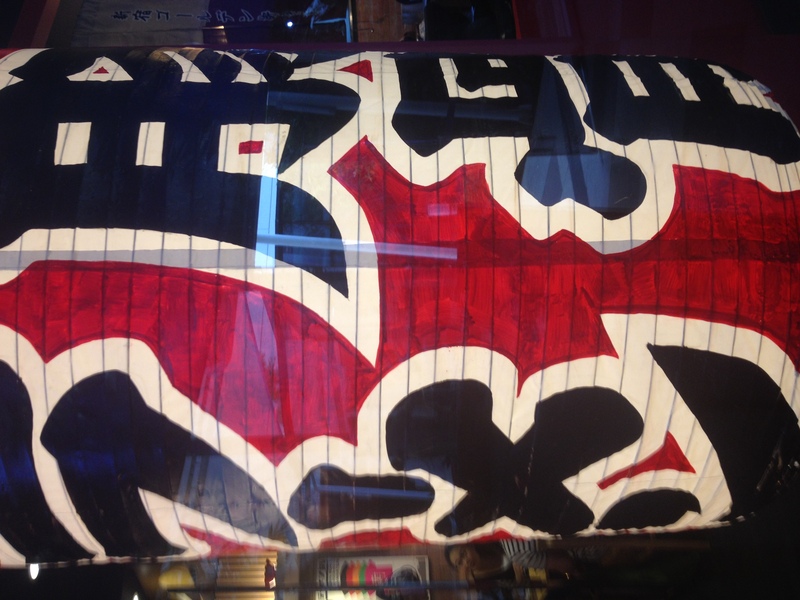 Ramen Nagi offers four main ramen kings in all of their restaurants. 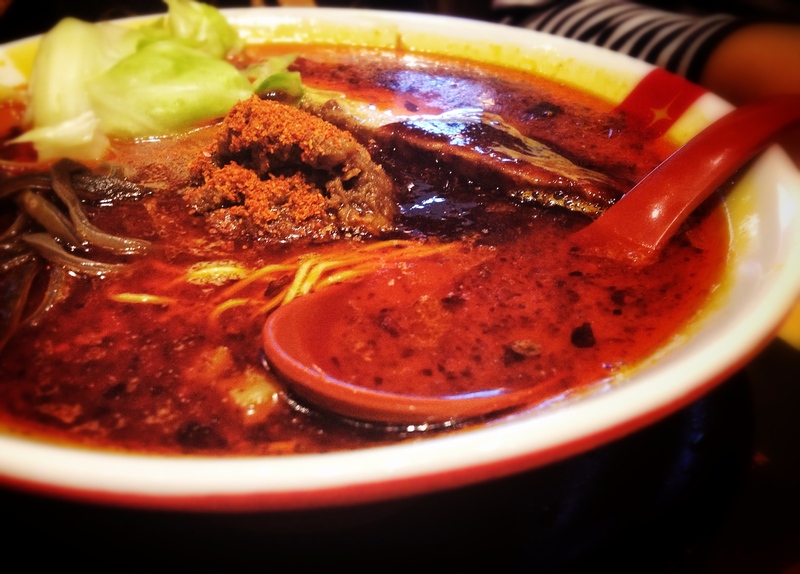 RED KING RAMEN AKAO – For people with an adventurous palette like me, the Red King should bound to capture your spiced taste buds in no time, topped with a fireball of miso-minced pork with the hottest cayenne pepper. You can choose the chilis to be added from 1 to 10, 10 being the highest. 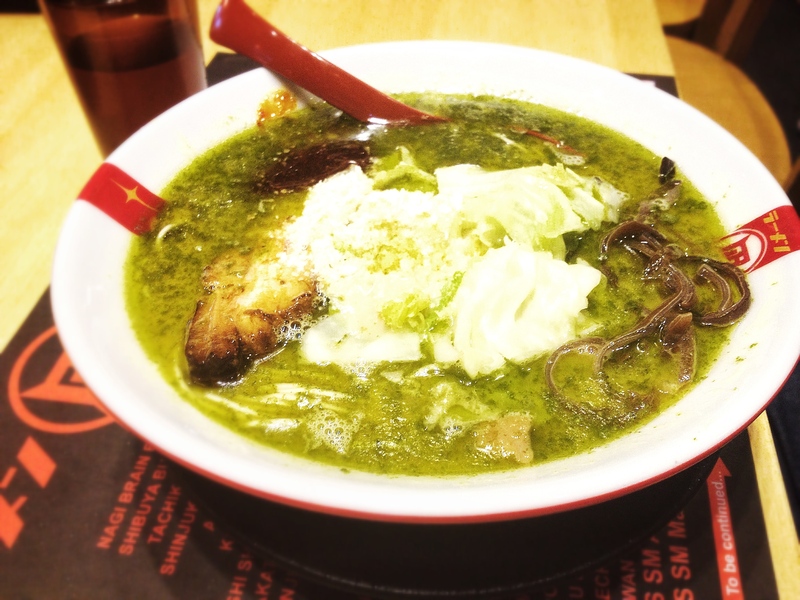 GREEN KING RAMEN MIDORIO – an Italian – Japanese fusion inspired ramen that looks more like pesto with its parmesan cheese, basil and olive oil fusion. Incredibly unique that’s bound to grow into you. 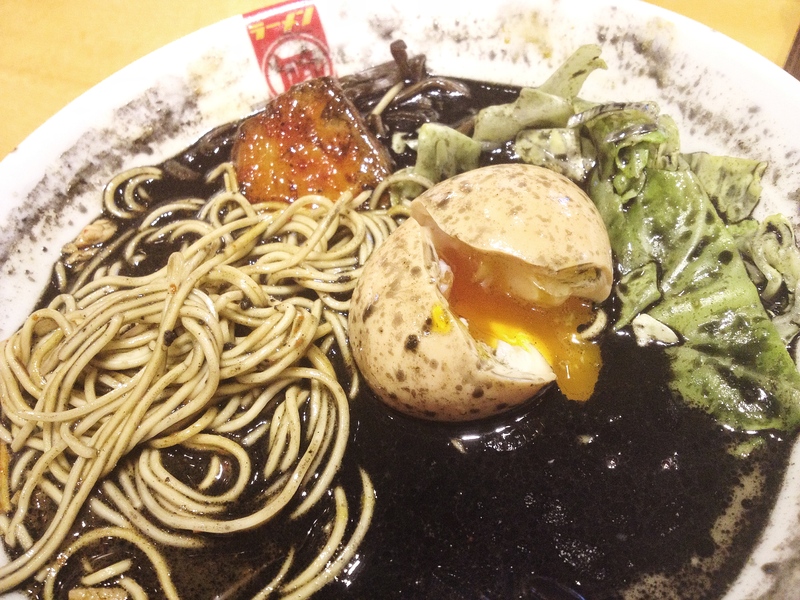 BLACK KING RAMEN KUROO– With a tonkotsu broth with squid ink that’s black and incredibly dangerous, Ramen Nagi’s Black King is not for the faint of heart. Occasionally, Ramen Nagi offers limited edition ramen that’s only seasonal, just like Ippudo Ramen chain. 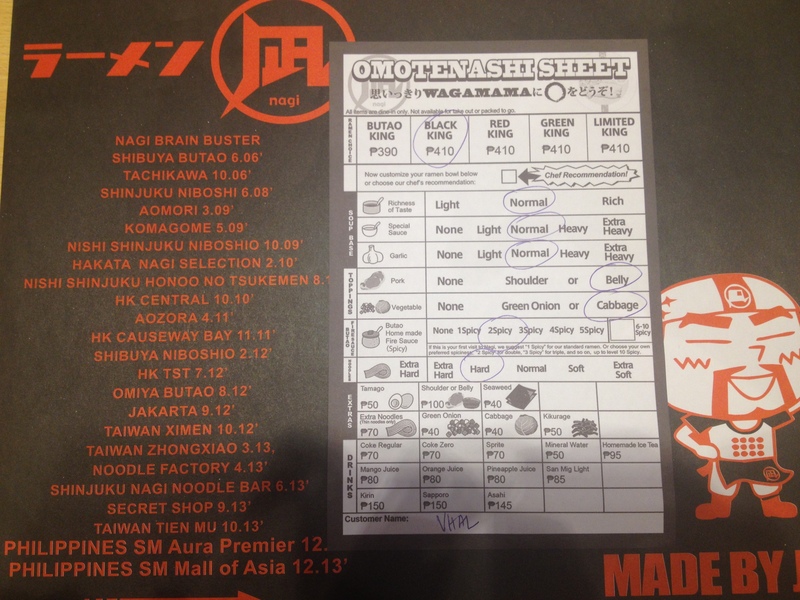 They do have EBI KING EBIO and TRUFFLE RAMEN KING as well in other Ramen Nagi branches in Japan. The Ebi King Ebio, which is like a thick Prawn Bisque soup, is a crowd favorite in Shibuya, Japan because of its innovative twist in the usual ramen. Japanese look for these kinds of ramen, much like the Green King Ramen. Butao Home Made Fire Sauce: 1 Spicy, 2 Spicy, 3 Spicy, 4 Spicy, 5 Spicy. 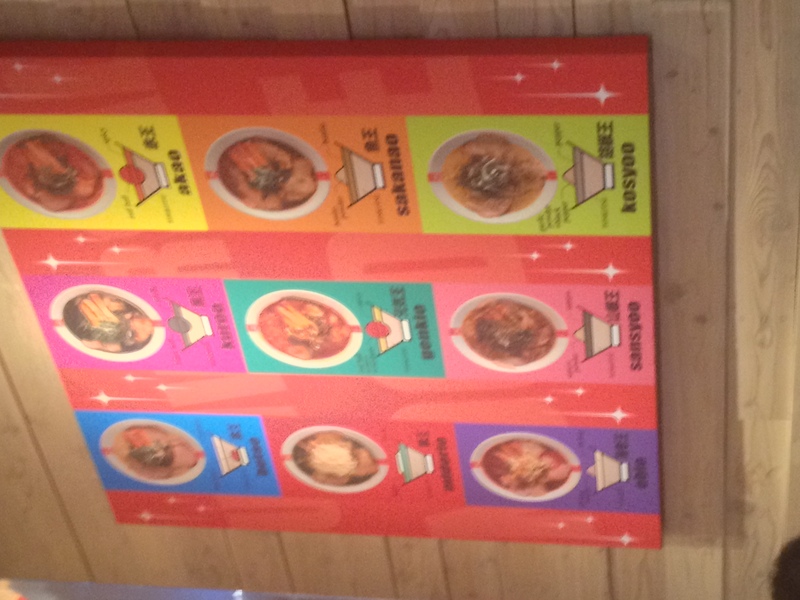 I highly recommend you to go for a spicy ramen and choose your noodles to be hard. And add the pork belly and Aji Tamago as well to make it a complete ramen experience. Just like any Ramen Nagi franchise, the condiments include beansprouts, garlic, grinded nuts and chili powder to go along with your ramen to curate it according to your tastebuds. I highly recommend you to try the Original King Butao if you are a newbie or a first timer to try out Ramen Nagi’s legend. 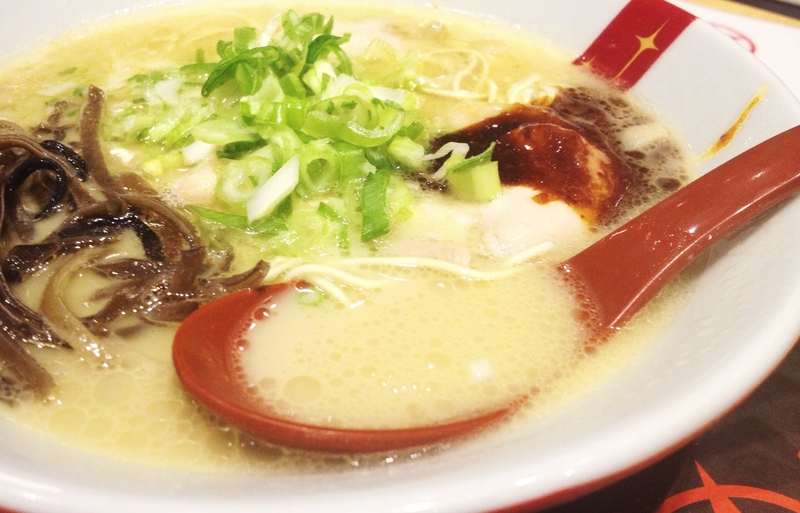 Here, you will taste the pureness of tonkotsu broth and traditional millimeter-thin Hakata noodles. Go for hard noodles as well, since the noodles in their normal state might go soggy after a couple of minutes. 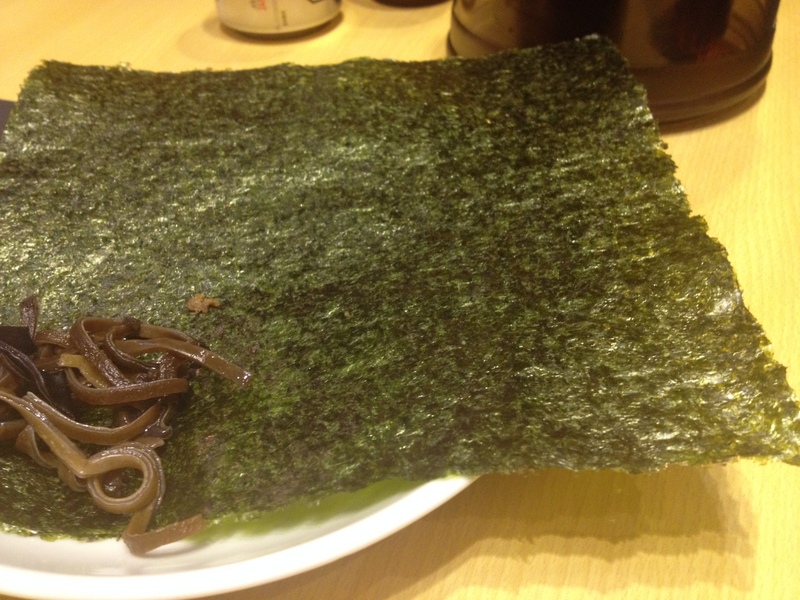 And feel free to order to a generous helping of Nori or seaweed to add a nice kick to your simple Original King Butao. I think they literally got this from a seaweed pack. To be honest, I was disappointed upon seeing their Red King Ramen. My friends who had previously ate here at Ramen Nagi in SM Aura before I did warned me that the quality of its Red King Ramen did not par with the one I had in Butao Ramen in Hong Kong. 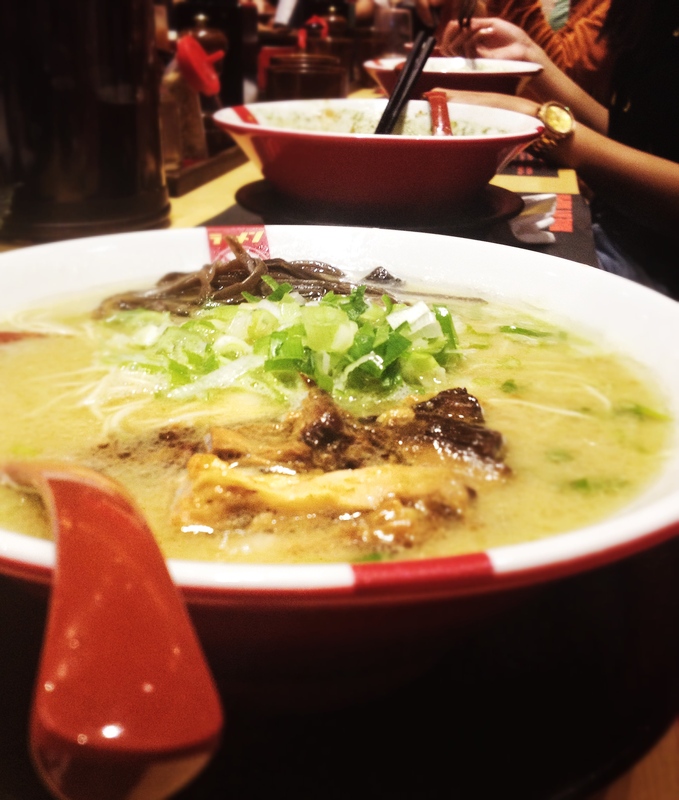 Precisely perhaps it’s because Butao Ramen HK is much more authentic than Ramen Nagi. The serving size is a bit smaller and the fats are coagulating in its “miniscus”. I know that’s too technical-sounding, but miniscus means that very first layer on top of your soup. My friend got a Red King Ramen with a fire sauce spice level of 2 only but it was pretty spicy. I think the broth looked a bit like Mabo Tofu sauce already – that’s how oily I think it is! 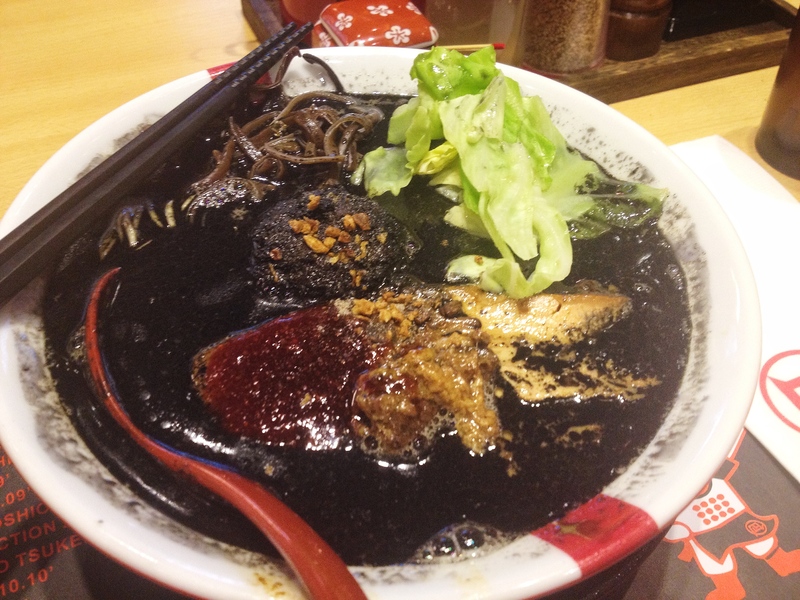 Please don’t judge me because I was the only one from our group who ordered the Black King Ramen. 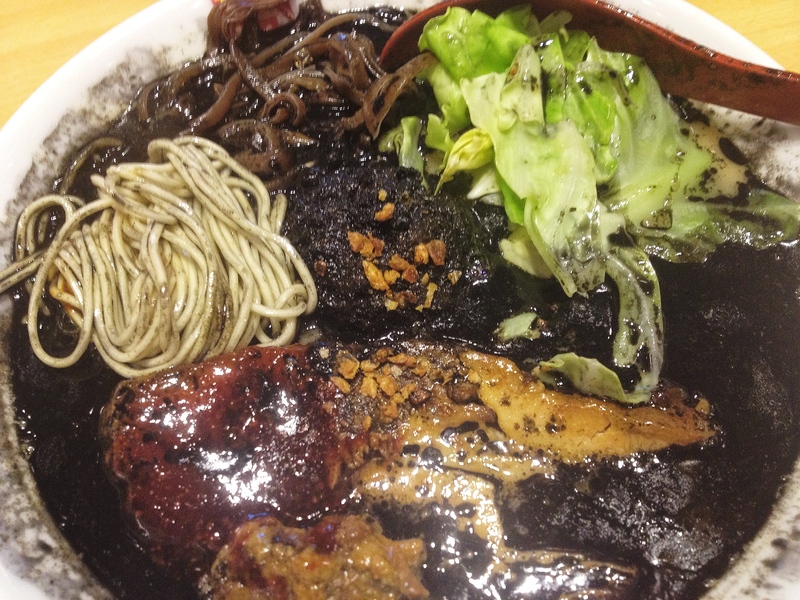 I was curious to try out Squid Ink Ramen as it has a unique and innovative twist in the ramen culture. Squid ink? Can you believe it? Or can you even imagine drinking black soup?! I was a bit hesitant to try out the soup. It was a bit scary. I’m glad I ordered Aji Tamago on the side. The egg is perfectly cooked. At least they got it right. The egg is soft-boiled so the egg white is really soft and wonderful in texture. My Aji Tamago egg looks like it has taken a trip in Flintstones land. Bespeckled and runny. 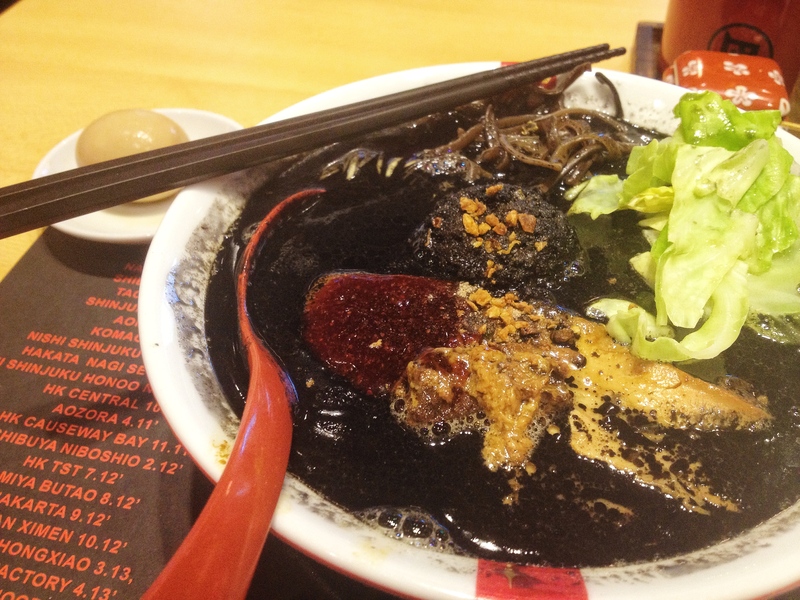 The black broth infused with squid ink is a bit sweet in my opinion. I am a sweet tooth, so this was good for me, though I did not finish my bowl, as my lips turned black already. Yes, your lips will turn to a shade of black when you eat Black King. So be prepared, don’t wear any lipstick because you’ll turn punk rock afterwards. 🙂 Don’t get it if you don’t want to go messy too! 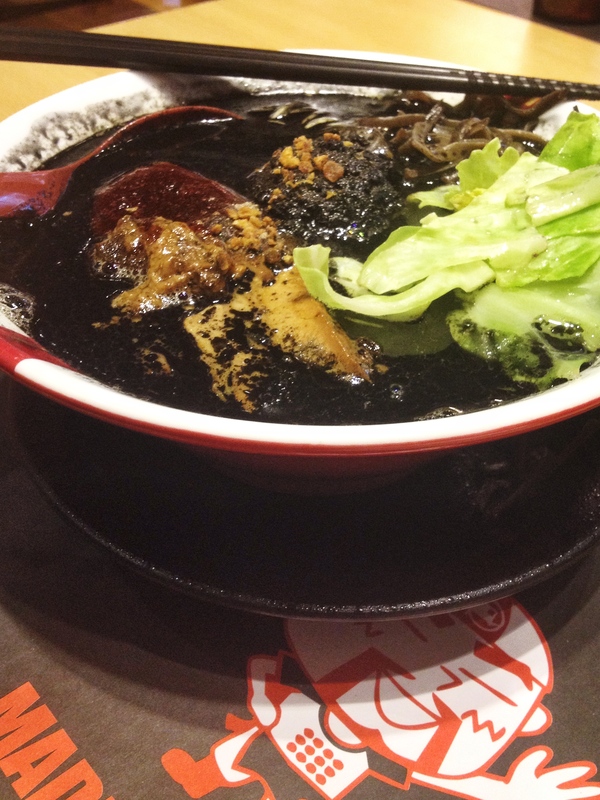 But while the pork flavor is not strong at Ramen Nag Manila, the smell of Black King was intoxicating and aromatic the moment it was put in front of me. It smelled flavorful and garlicky – delicious! Interesting to note that the Kakuni or pork belly we all had in our ramen – yes we like fatty pork! – was not at par with the one in Butao Ramen. The meat isn’t soft and I had it sitting in my ramen for quite some time, literally eating it towards the end of my bowl before I had to take a bite off it again. It went softer afterwards. To be honest, without the layered fat, I would have might as well get the shoulder portion instead. To be honest, I didn’t anymore liked the cabbage on my ramen. Perhaps, next time I won’t add the cabbage or the green onion even. I guess I don’t like its texture. It doesn’t seem right to go with the ramen. A lot of us in the group got the ever fusion-cuisine, Instagram popular, Green King Ramen Midorio. It’s fun and a fusion of Italian and Japanese cuisine like what is being done nowadays (such as Cucina Victoria’s Seafood Gambellini Pasta). The Green King Midorio is infused with basil and olive oil and topped with parmesan cheese. If you are a cheese person, this is your bowl of ramen. The service the entire time was superb. Excellent staff who were very attentive to what you need. They’d serve cold tea to quench your thirst and the staff was very quick to refill your empty pitcher every now and then. New Menu Items: Cha Siu Rice and Curry King Ramen! Great news for rice lovers, and for those who are not a fan of ramen. While your friends eat ramen, you can try the Cha Siu rice! Looks pretty good. 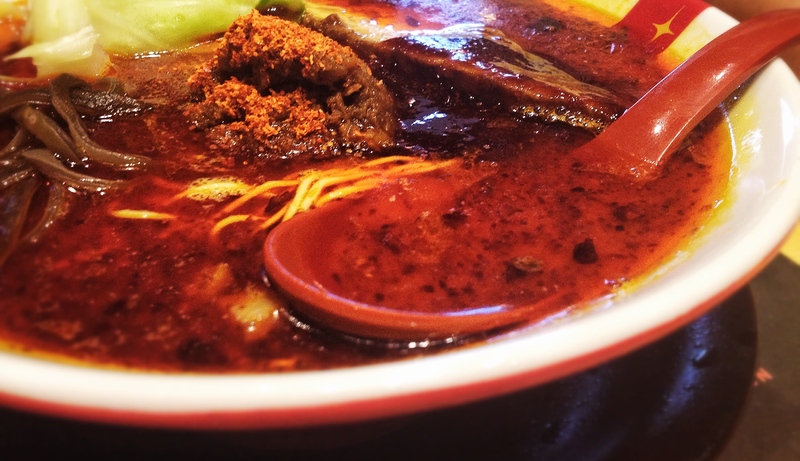 And for Curry lovers, reminiscent of RYU Ramen Curry is Ramen Nagi’s Curry King. This is offered for a limited time only! To be perfectly honest, the ramen bowl didn’t look cohesive as a whole. Remember that ramen has loads of pretty important elements. It cannot live without the noodles, definitely, and the pork meat, bamboo shoots, Aji Tamago egg have to work TOGETHER to bring one amazing creation. 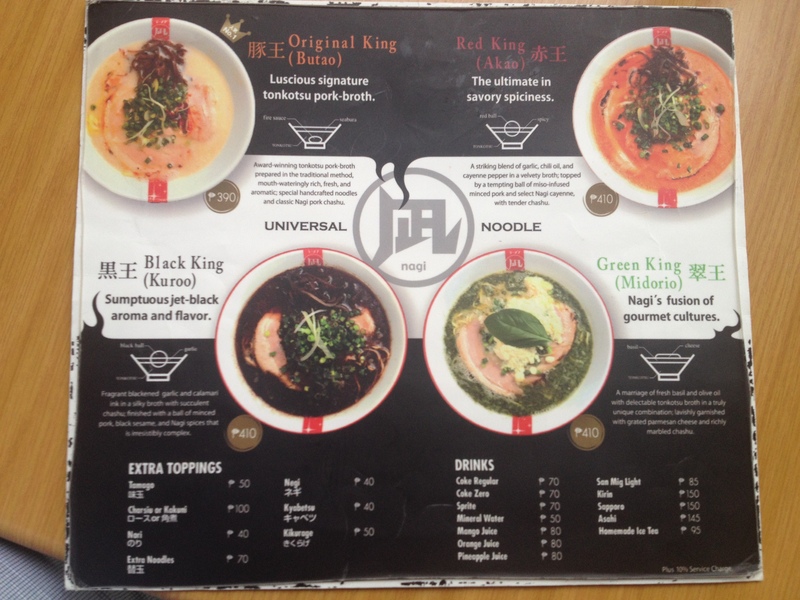 I feel like while I was eating my Black King ramen, I suddenly feel lost in the story. Why did the cabbage feel out of place in the ramen? And why did I have to submerge my pork belly further before it eating it last? 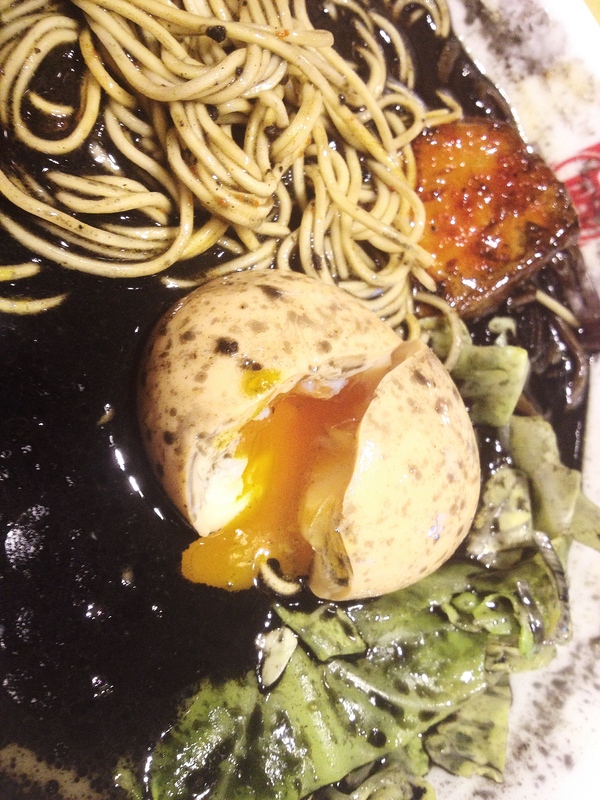 And I guess my Aji Tamago saved my ramen bowl. The verdict? I would still go back to Ramen Nagi to eat good ramen simply because it is one of the best ramen joints here in Manila. It was just good, not totally great. It’s arguably a good contender amidst all the ramen joints that are here and there. (And you have to admit that long queue will make you curious). Though I really believe that the pork flavor was lost in Tonkotsu taste. 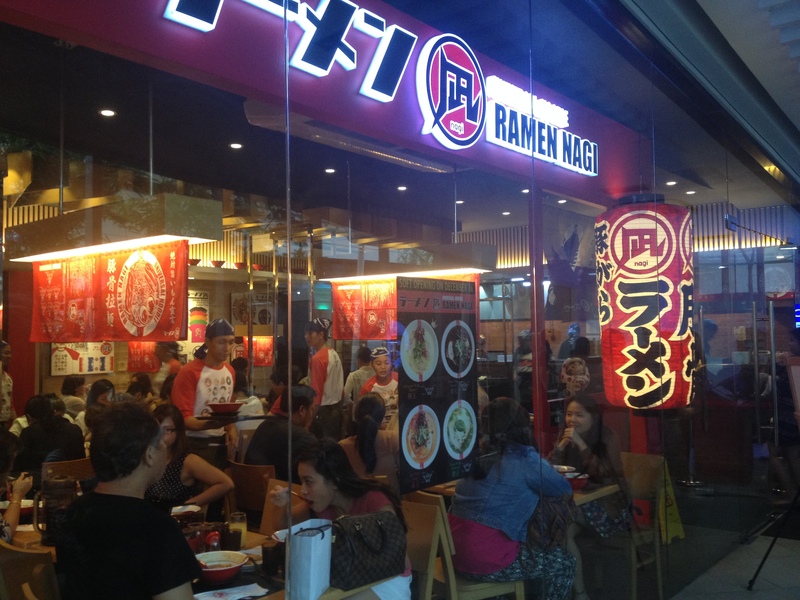 Interesting to note that Ramen Nagi once held a private, invitation-only pop-up store last December 2013 here in the Philippines to actually get the reception of Ramen Nagi according to this town’s tastebuds. And surprisingly a lot have criticized the quality of pork meat at that time. It was understandable for Ramen Nagi at that time to serve low quality meat given the crunch time but at this point that it’s already launched (even at soft opening), you would expect the quality of pork shoulder or belly to be superb, more than what a pop-up store can offer. At the same time, I can’t help but think about Hanamaruken Ramen‘s slow-cooked pork rib and how they managed to try to bring the signature slab of pork from Osaka to Manila. If Hanamaruken can do it, why can’t Ramen Nagi? I sincerely hope they’ll bring better pork meat here.